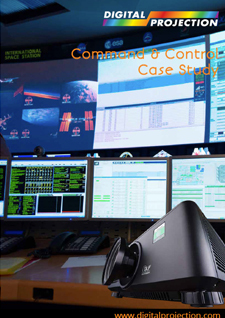 Digital Projection International provides projectors to meet any simulation and training need in any environment. Digital Projection provides proven projector solutions qualified on the following training devices: Level D and C Devices, Air Traffic Control Tower, JTAC (forward observer), EST2 (small arms), CCS, RVS, VCTT (convoy), DNV Class A Ship Bridge and Side Bridge, and Fast Jet Trainers. Additionally, Digital Projection offers projectors that can be color matched on site or prior to shipment, and other simulation friendly options like smear reduction, IR NVG stimulation, high contrast ratios, high resolution, motion compatibility, portrait mode orientation, edge blending, geometry distortion, automatic alignment, and more. In 2014, Digital Projection was recognized as a Top Simulation & Training Company by Kerrigan Media International and Military Training Technology. 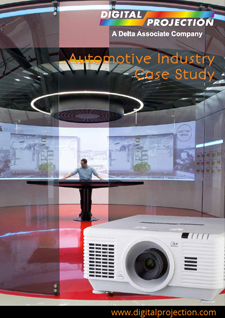 Digital Projeciton’s inclusion reflects the growing reputation of its projector products for simulation applications. Digital Projection International provides projectors to meet any Visualization or Planetarium need. Digital Projection’s projector line includes solid state LED and LASER projectors with 20,000+ hour illumination, capable of 2D or 3D (active or passive) in resolutions up to 4K (4096 x 2160) with short throw lenses suitable for immersive environments. 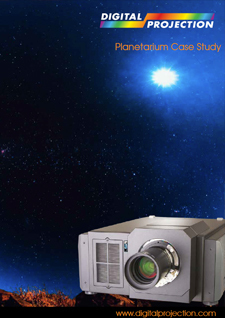 Additionally, numerous projectors within the product line are compatible with a wide range of truncated and full dome lenses for dome and planetarium use. Delivering truly inspiring immersive experiences takes consistent color management, remarkable contrast performance and installation flexibility. 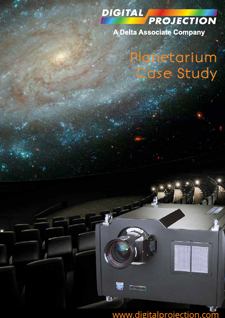 DP’s Visualization and Planetarium-grade projectors thrive in these challenging environments, leaving your audience focused and ready to learn.